Waste tyre to diesel fuel recycling plant is specially made mainly as the auxiliary equipment of our waste tyre/plastic pyrolysis plant. 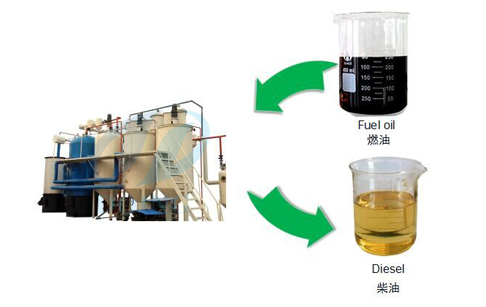 It can refine tyre fuel oil and plastic fuel oil got from the pyrolysis plant into diesel fuel oil. 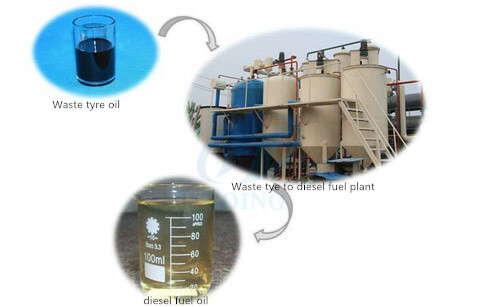 However, Except tyre oil and plastic oil, this waste tyre to diesel fuel recycling plant can also refine waste motor/engine oil into diesel. 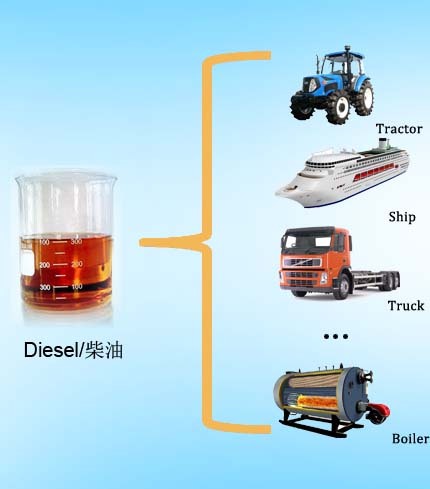 This diesel fuel oil can be used for boilers, trucks, generators, and low speed engine like digging machine/road rolle/loading machine and so on.The normal processing capacity for our distillation plant includes 3T/D, 5T/D ,10T/D and 20T/D. 6. Finally, you can get about 85% pure diesel fuel oil. 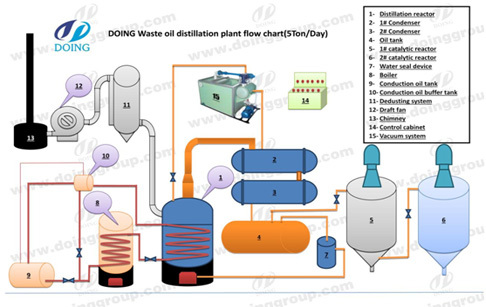 If you wanna to get more details about Waste tyre to diesel fuel recycling plant you can send E-mail to market@doinggroup.com. You can consult our professional engineer and specialized sales team with leave a message in below form.We will contact with you ASAP.You also can visit our factory in Henan,China.Get Detailed address.